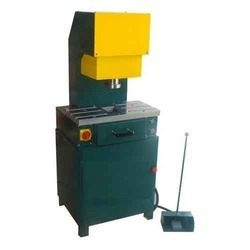 Leading Manufacturer of hydraulic press machine, c type hydraulic press machine, hydraulic punching press, hydraulic forging press, hydraulically operated finished broaching machine and automation of standard 10 ton power press from Thane. 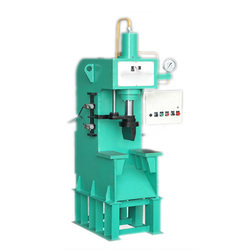 We are the prominent manufacturer and exporter of Hydraulic Press Machine, these are available at very reasonable price in market. 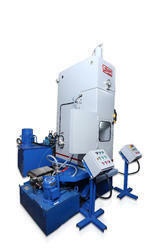 Our hydraullic press are knoen for their durability and low maintenance. are used for different pressing applications in diverse industries including engineering, automobiles and electrical. We specialize in manufacturing hydraulic press machine in capacities 100 ton in hydraulic. 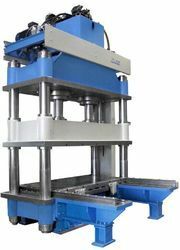 Our C Type Hydraulic Press Machine are known for their high efficiency and unbeatable performance internationaly. These are suitable for complementary processes such as pressing and bending. The C frame body of the machine reduces the space occupied by the unit. 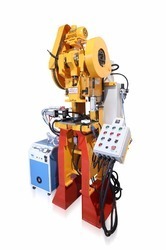 This unique design can effectively rig the auto-system and elevate the production.This press are widely used for press fitting of bearing shafts, gears, oil seals bushes etc. 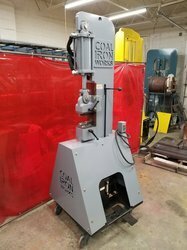 Used for a various of applications, the Hydraulic Punching Press can be an economical alternative for producing or assembling small parts. These workhorse presses are also self contained as to be easily moved to the work cell. Many options and sizes available to tailor the press to your requirements.